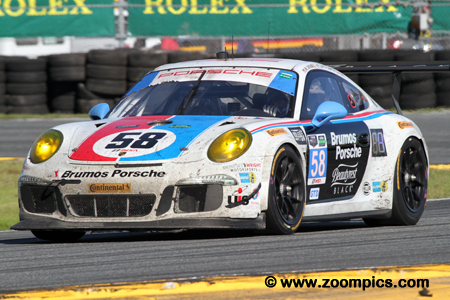 The 2015 IMSA WeatherTech season opened at Daytona International Speedway in January with the traditional Rolex 24. It was followed by the historic 12-Hours of Sebring, Long Beach, Mazda Raceway Laguna Seca, Detroit, Watkins Glen, Canadian Tire Motorsport Park, Lime Rock, Road America, VIRginia International Raceway, Circuit of the Americas and a 10-hour finale at Road Atlanta. Prototype (P) – These are purpose built race cars and the quickest in the series. Included in this group are Daytona Prototypes from the former Grand Am series and P2 cars. Manufacturers such as Ford, Chevrolet, Honda and Mazda are supplying engines that produce 550-600 horsepower. 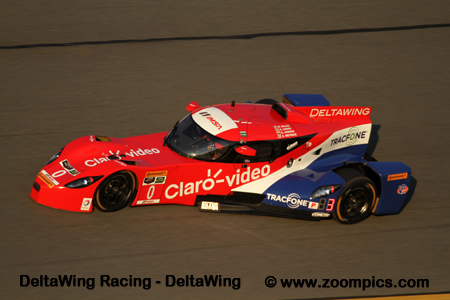 Chassis’ competing in the category include the Corvette DP, DeltaWing DWC 13, Mazda/Lola, Riley DP and Ligier JS P2. GT Le Mans (GTLM) – Cars in this class are highly modified production vehicles from manufacturers such as Ferrari, Porsche, Chevrolet and BMW. As a result, a wide range of engine configurations and displacements are employed. The series technical staff uses a number of methods to ensure that teams are competing on a ‘level playing field.’ Most of the teams competing in this group are receiving factory support. Vehicles in the category include Audi, Porsche, Ferrari, Lamborghini, BMW and Dodge. GT Daytona (GTD) – This is also a production based class but does not allow the same level of technological improvements that can be made to GT Le Mans cars. Vehicles in the category include Audi R8 LMS, Porsche 911 GT America, Ferrari 458 Italia and Dodge Viper SRT. Similar to GT Le Mans, the technical staff uses a number of methods to ensure parity. In 2014, the American Le Mans and Rolex Sportscar Series merged to form the new Tudor United SportsCar Championship. The primary concern among teams was whether their current equipment would be competitive in the new series. While progress had been made in the first year to balance the performance of different GT marques, the series was still challenged by their premier class – the Prototypes. Those ‘in the know’ recognized that it would be difficult to achieve parity between the Daytona and Le Mans Prototypes as they were designed and constructed using a different set of rules. But, the series technical officials listened to the teams and continued to make progress on this issue in 2015. 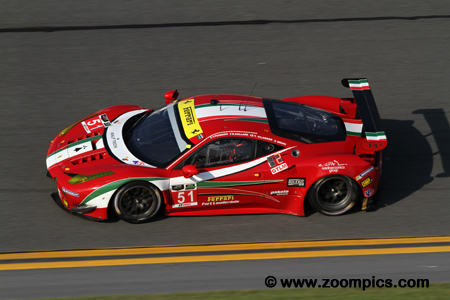 The 53rd Rolex 24 at Daytona took place on the weekend of January 24 and 25. There were a total of 53-starters (16-Prototypes, 8-Prototype Challenge, 10-GT Le Mans and 19-GT Daytona). Drivers would compete for 24 hours on the 12-turn, 3.56-mile track which utilized an infield road course and almost the entire tri-oval. Scott Dixon drove the final stint in the No. 02 Chip Ganassi Racing with Felix Sabates Ford EcoBoost Riley MK XXVI and won by a margin of 1.333-seconds. Dixon shared the car with Tony Kanaan, Jamie McMurray and Kyle Larson which started on the outside of the front row. This was the Dixon’s second victory at the Rolex 24 (the first was in 2006) and the first for his teammates. Fastest qualifier in the GT Le Mans category was the No. 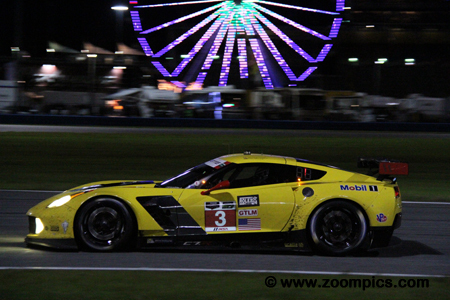 4 Chevrolet Corvette C7.R piloted by Oliver Gavin, Simon Pagenaud and Tommy Milner. Gavin was the first driver to encountered problems when he made contact with a Prototype Challenge car. Milner suffered a similar fate running into the back of the No. 66 RG Racing Riley. Again, the team was forced to pit for repairs - losing valuable time. The trio would finish seventh overall and third in class. The No. 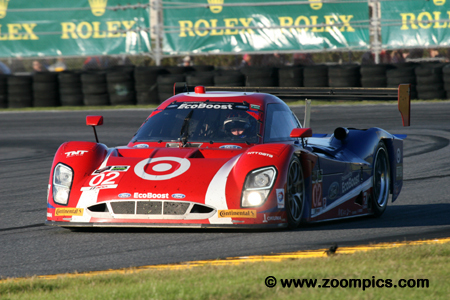 01 Chip Ganassi Racing entry was driven by veteran Scott Pruett, Joey Hand, Charlie Kimball and Sage Karem. The Riley started from the third position on the grid and for the first eight hours was in a lead group that included four cars. In the final hours, the Riley developed clutch problems and retired on lap-669. They were classified twenty-third overall and sixth in the Prototype category. Qualifying a lowly forty-ninth overall and sixteenth in GT Daytona was the No. 93 Riley Motorsports Dodge Viper SRT. However, at the end of twenty-four hours, the Viper was the first GTD category car to receive the checkered flag. The Viper was raced by Dominik Farnbacher, Al Carter, Kuno Wittmer, Cameron Lawrence and team owner Ben Keating, who is the world's largest Viper dealer. With the demise of the Core Autosport entry, the No. 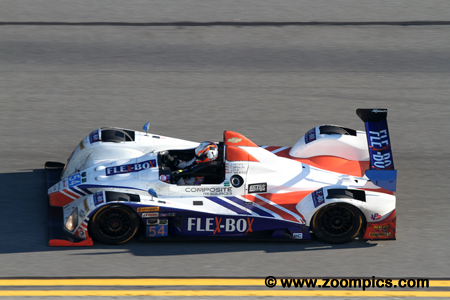 52 PR1/Mathiesen Motorsport ORECA FLM09 inherited the Prototype Challenge lead. 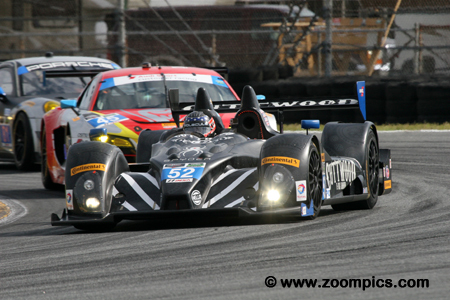 The ORECA was shared by Mike Guash, Andrew Novich, Andrew Palmer and Tom Kimber-Smith. The winning team completed 714-laps ten more than the second place Core Autosport team. The No. 51 Ferrari 458 Italia was entered by AF Corsa. Founded in 1995 by Amato Ferrari, the team had four GT2 championships in the FIA GT series. As a result, it was no surprise that after qualifying the Ferrari was the second quickest in the GT Le Mans category. Unfortunately, for drivers Gianmaria Bruni, Toni Vilander, Francois Perrodo and Emmanuel Collard the car only lasted 221-laps. 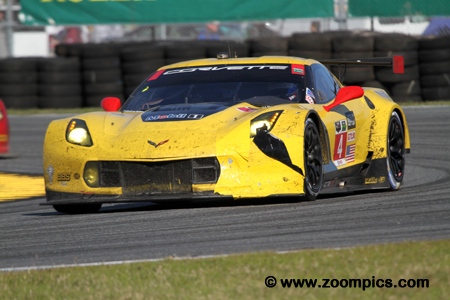 After eleven attempts, Jan Magnussen finally earned his first class victory at the Rolex 24. Magnussen shared the No. 3 Corvette Racing Chevrolet Corvette C7.R with Antonio Garcia and Ryan Briscoe. After qualifying, they were the fifth quickest GT Le Mans car. At steady drive and a relatively trouble free race gave the trio the class victory. The Core Autosport team were the reigning Prototype Challenge champions. Drivers, Colin Braun, Jon Bennett, Mark Wilkins and James Gue, dominated the race until the final hour. Braun was at the wheel when he was forced off the track by a slower Daytona Prototype. He attempted to limp the car back to the pits with suspension damage but contacted the wall causing the ORECA FLM09 to catch fire. They finished second in class. 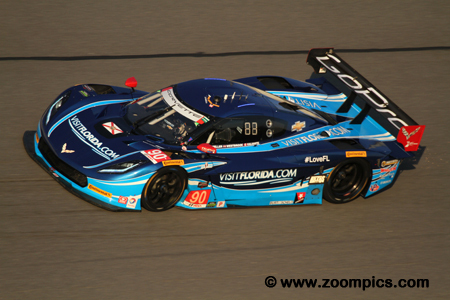 Defending Rolex 24 champions, Action Express Racing, suffered a setback during the event when a loose fuel connector caused the team to lose three laps. The trio of Joao Barbosa, Christian Fittipaldi and Sebastien Bourdais made up the deficit and by the eighteenth hour were back in contention. A three-way battle for the overall and class victory took place in the final hour with the team ultimately finishing a close second. 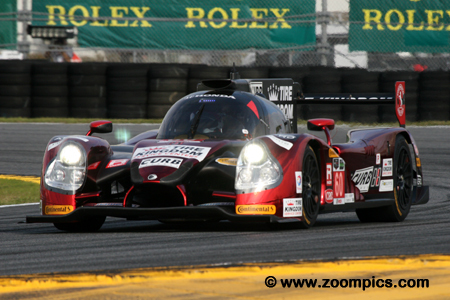 During the 2014 season, the P2 from the American Le Mans series had only one victory. The new year looked more promising for the P2 cars when Oswaldo Negri Jr. put the Michael Shank Racing Ligier JS PS on the pole. However, the team encountered a series of setbacks - their first major problem occurred when John Pew crashed during the restart. The driving lineup which also included Matt McMurry and AJ Allmendinger retired on lap-704. The GT Le Mans Corvettes and Porsches set a torrid place from the outset. It took its toll on the No. 4 Corvette (contact with other entries) and the two factory Porsches (the No. 912 car hit No. 911 when attempting to pass a slower GTD car). Despite their own issues, the No. 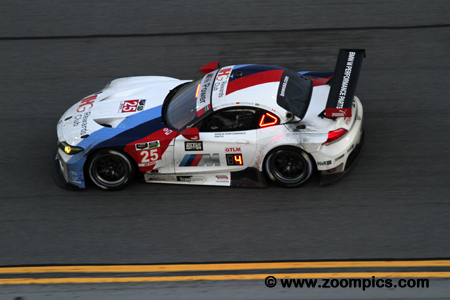 24 BMW Z4 GTLM driven by Bill Auberlen, Dirk Werner, Augusto Farfus and Bruno Spengler finished second in GTLM and on the same lap as the class-winning Corvette. 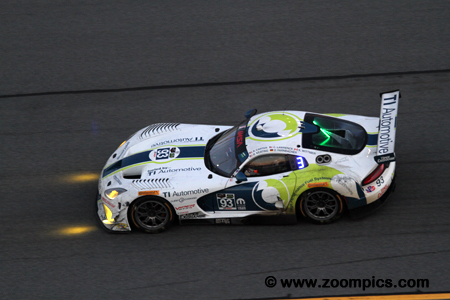 Finishing second in GT Daytona, just 7.6-seconds behind the winning Viper was the No. 22 Alex Job Racing/WeatherTech Porsche 911 GT America. The Porsche qualified tenth and was driven by Shane van Ginsbergen, Leh Keen, Andrew Davis and Cooper McNeil. 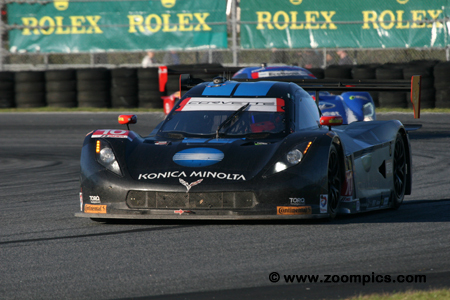 The VisitFlorida.com Racing Corvette DP took the Starter’s green flag in the tenth grid position. The Corvette was driven by Richard Westbrook, Michael Valiante, Mike Rochenfeller and Guy Cosmo. The team suffered some problems during the race but not as many or severe as most of their competition. At the end of twenty-four hours, they were six laps behind the victors but earned the last spot on the Prototype podium. The Wright Motorsports Porsche 911 GT America was sponsored by Brumos Porsche – an automotive dealer with a lengthy history of competing in endurance racing with Porsche products. The car was raced by Madison Snow, Jan Heylen, Patrick Dempsey and Philipp Eng and started fourth in GT Daytona category. At the checkered flag, they earned the final spot on the class podium. With less than an hour to go in the event, the Wayne Taylor Team looked set to win the 2015 edition of the Rolex – their last victory was in 2005. Unfortunately, a miscalculation in driver time (no driver can be behind the wheel for more than four hours during in a six hour period) and the team was given a drive through penalty. They finished third but were later disqualified for the oversight.